Westminster Paint Pals is a professional painting company located in Westminster, CO. We cover work form Highlands Ranch to Fort Collins. 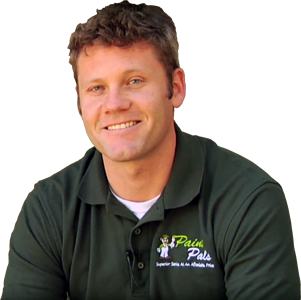 We plan to franchise out and offer our services to all of Colorado in the future. Our vision is to establish ourselves as the leading and most recognized painting contractor throughout the region by providing higher value of services through top quality workmanship and superior customer service. We are committed to earning your complete satisfaction and providing a long lasting paint job. Westminster Paint Pals was founded in 2009 as a professional painting company originally in the Fort Collins and Northern Colorado area. After several years of experience working throughout the painting industry we saw an unmet need to develop a new-age painting contractor focused on superior customer service and premium quality workmanship provided at affordable prices. Since then we have painted hundreds of homes and businesses across the Colorado region. Our focus is primarily upon residential repainting and staining, but we are always willing to tackle any project and explore new ventures. Whether residential or commercial no project is too big or too small for us to handle. Our experience includes a mix of interior and exterior projects ranging from extensive multilevel estates and ordinary residences to locally owned and operated businesses. We specialize on the proper preparation and lasting application of a variety of paints and stains. We carry full liability insurance, have been accredited with the BBB, and provide a written warranty on all of our work. It is our job to ensure your satisfaction, and we are committed to earning your approval during every step of the project. By conducting regular jobsite inspections and walk-arounds with our clients, we are able to eliminate problems and maintain complete customer satisfaction. On top of that, all of our painters have been professionally trained to provide top quality workmanship, superior customer service, and a stress-free painting experience. For more information click here to speak with your local Paint Pal today and learn more about how we can accommodate your painting needs. To promote transparency and our committment to customer satisfaction we have full BBB Accreditation and have maintained an A+ Rating. By meeting the BBB’s accreditation standards we have agreed to the following: building trust, advertising honestly, telling the truth, being transparent, honoring promises, being responsive, safeguarding privacy, and embodying integrity. We are passionate about all of our work and are focused on providing premium service with professional quality. 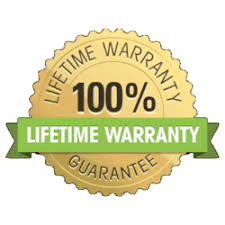 We offer many warranty options the highest being an all-inclusive lifetime warranty, it includes and covers all labor and materials to fix paint failures. If a paint failure occurs while you’re under warranty simply call us and we will schedule the repairs immediately.